Ermini Leaf D., Hui J., and Liu, C. (2009). Statistical inference with a single observation of N(mu, 1). Pakistan Journal of Statistics 25(4), 571-586. Martin, R., Zhang, J., and Liu, C. (2010). Dempster-Shafer theory and statistical inference with weak beliefs. Statistical Science, 25, 72-87. Ermini Leaf, D. and Liu, C. (2012). Inference about constrained parameters using the elastic belief method, International Journal of Approximate Reasoning, 53, 709 - 727. Martin, R. and Liu, C. (2014). Comment: foundations of statistical inference, revisited, Statistical Science, 247-251. Martin, R. and Liu, C. (2013). Inferential models: a framework for prior-free posterior probabilistic inference, Journal of the American Statistical Association, 108, 301-313. Martin, R. and Liu, C. (2015). Conditional inferential models: combining information for prior-free probabilistic inference, Journal of the Royal Statistical Society, Series B, 195-217. Martin, R. and Liu, C. (2015). Marginal inferential models: prior-free probabilistic inference on interest parameters, Journal of the American Statistical Association, Journal of the American Statistical Association, 110, 1621-1631. Liu, C. and Martin, R. (2014). Frameworks for prior-free posterior probabilistic inference, WIREs Computational Statistics, 7, 77-85. Martin, R. and Liu, C. (2014). A note on p-values interpreted as plausibilities, Statistica Sinica, 24, 1703-1716. Liu, C. and Xie, J. (2014). Large Scale Two-Sample Multinomial Inferences and Its Applications in Genome Wide Association Studies, International Journal of Approximate Reasoning, 55, 330-340. Liu, C. and Xie, J. (2014). Probabilistic Inference for Multiple Testing. International Journal of Approximate Reasoning, 55, 654-665. Ermini Leaf, D., Yun, H., and Liu, C. (2015). 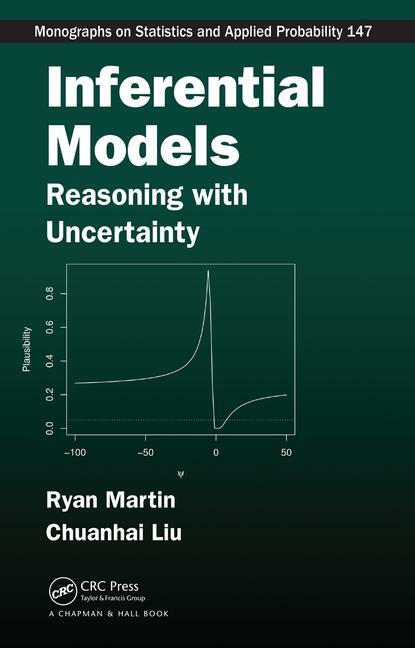 Valid Prior-Free Probabilistic Inference and its Applications in Medical Statistics, (Chapter 33) in Advanced Medical Statistics, 2nd Edition, Editors Ying Lu, JiqianFang, Lu Tian, and Hua Jin, 1301-1338, World Scientific. Srivastava, S., DePalma, G. and Liu, C. (2018) An Asynchronous Distributed Expectation Maximization Algorithm For Massive Data: The DEM Algorithm, Journal of Computational and Graphical Statistics, to appear. He, Y. and Liu, C. (2012). The dynamic `expectation-conditional maximization either' algorithm, Journal of the Royal Statistical Society, Series B, 313-336. Lewandowski, A., Liu, C., and Scott Vander Wiel (2010). Parameter expansion and efficient inference. Statistical Science, 25, 533-544. Liu, C., Rubin, D. B., and Wu, Y. N. (1998). Parameter expansion to accelerate EM: the PX-EM algorithm. Biometrika, 85(4), 755-770. Liu, C. and Rubin, D. B. (1994).The ECME algorithm: a simple extension of EM and ECM with faster monotone convergence. Biometrika, 81(4), 633-648. Lewandowski, A. and Liu, C. (2010). The sample Metropolis-Hastings algorithm. Liang, F., Liu, C., and Carroll, R. J. (2007). Stochastic approximation in Monte Carlo computation. JASA, 102(477), 305-320. Liu, C. (2003). 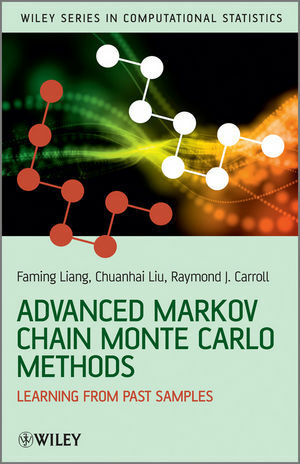 Alternating subspace-spanning resampling to accelerate Markov chain Monte Carlo simulation. JASA, 98(461), 110-117. Liu, C. and Vander Wiel, S. (2007). Statistical Quasi-Newton: A new look at least change, SIAM Journal on Optimization, 18, 1266-1285. Liu, C. (1998). Information matrix computation from conditional information via normal approximation. Biometrika, 85(4), 973-979. Zhang, J., Li, J., and Liu, C. (2014). Robust factor analysis using the multivariate t-distribution. Statistica Sinica, 291-312. Liu, C. (2004). Robit regression: a simple robust alternative to logistic regression and probit regression, in Missing Data and Bayesian Methods in Practice, eds. A. Gelman and X. Meng. Pinheiro, J. C., Liu, C. and Wu, Y. (2001). Efficient algorithms for robust estimation in linear mixed-effects models using the multivariate t-distribution, J. Comput. and Graph. Statist. 10, 249-276. Liu, C. and Rubin, D.B. (1998). Ellipsoidally Symmetric Extensions of the General Location Model for Mixed Categorical and Continuous Data. Biometrika 85, 673-688. Liu, C. (1996). Bayesian robust multivariate linear regression with incomplete data, JASA 91, 1219-1227. Buvaneswari, A., Graybeal, J. M., James, D. A., Lambert, D., Liu C., and MacDonald, M., W. (2007). A statistical view of the transient signals that support a wireless call. Technometrics, 49, 305-317. Lambert, D. and Liu, C. (2006). Adaptive thresholds: monitoring streams of network counts, JASA 101, 78-88. Hopke, P. K., Liu, C. and Rubin, D. B. (2001). Multiple imputation for multivariate data with missing and below-threshold measurements: time-series concentrations of pollutants in the Arctic, Biometrics 57, 22-33. Clark, L., Cleveland, W. S., Denby, L., and Liu, C. (1999). Modeling customer survey data (with Discussion), in Case Studies in Bayesian Statistics, IV, 3-57, Eds. B. P. Carlin, A. L. Carriquiry, C. Gatsonis, A. Gelman, R. E. Kass, I. Verdinelli, and M. West. Liu, C. and Sun, D. X. (2000). Analysis of interval-censored data from fractionated experiments using covariance adjustment, Technometrics 42, 353-365. Gelman, A., King, G., and Liu, C. (1998). Not asked or not answered: multiple imputation for multiple surveys (with discussion), JASA 93, 846-874. Liu, C. and Stock, J. M. (1993). Quantitative determination of uncertainties in seismic refraction prospecting, Geophysics 58, 553-563. An experimental R package DISC under development for Distributed Iteractive Statistical Computing. Copyright © 2015 Chuanhai Liu. All rights reverved.